Heartbreaking Cards of Staggering Genius: Why Not Post Some Secret Santa Cards In April? 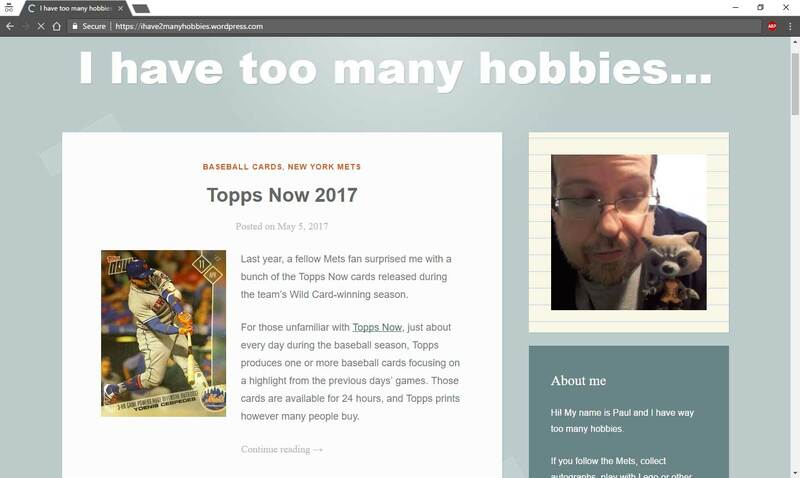 Why Not Post Some Secret Santa Cards In April? We are approaching the end of April so why not finally get around to posting the rest of my Crackin' Wax Secret Santa gifts! 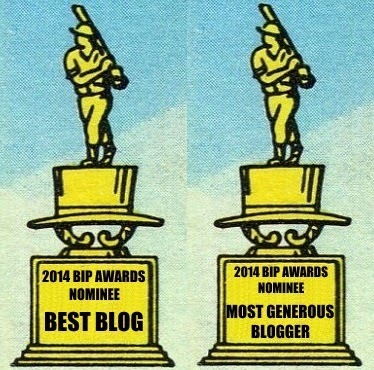 I ask for Packers autographs or relics, Milwaukee Braves, and of course Andy Pafko stuff. I've shown a Packers patch I received earlier and here are the rest of the package. 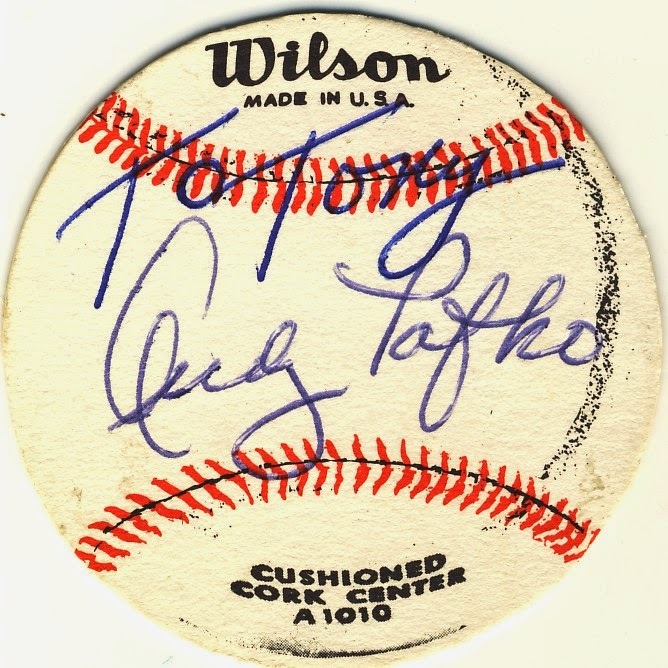 My Secret Santa certainly came through with a great looking Andy Pafko autograph on a Wilson baseball signature card. Sure, my name's not Tony but what can you do? 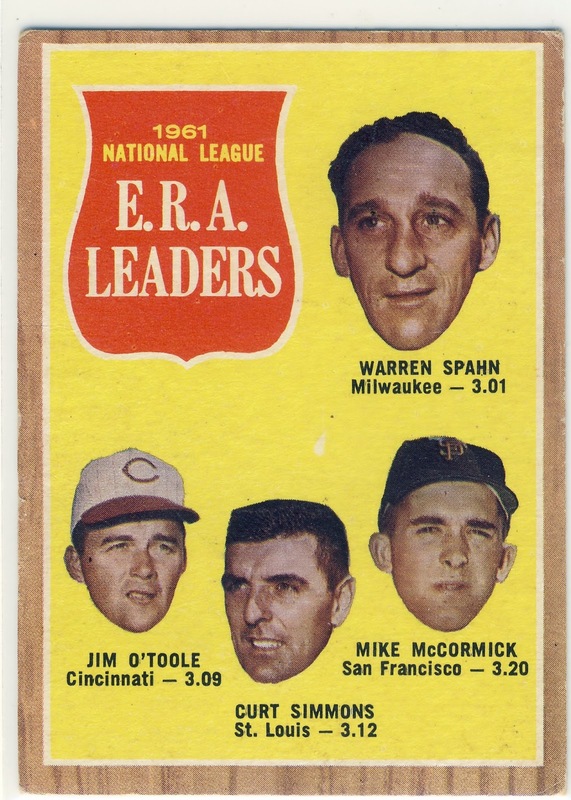 The rest of my cards are some are of some Milwaukee Braves including three multi-player cards featuring Warren Spahn, the best Braves pitcher ever...and maybe the best left handed pitcher of the modern era. 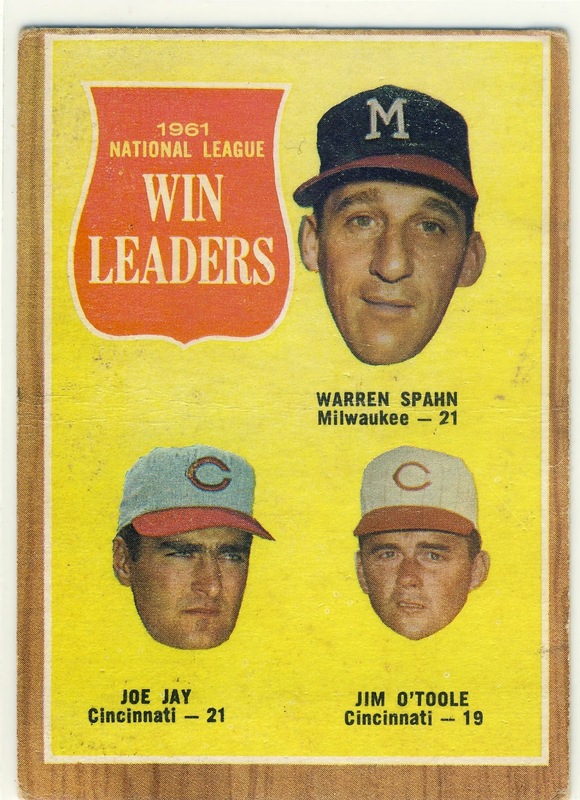 And before you start screaming about Sandy Koufax, remember that Spahn lost three seasons to World War II service. 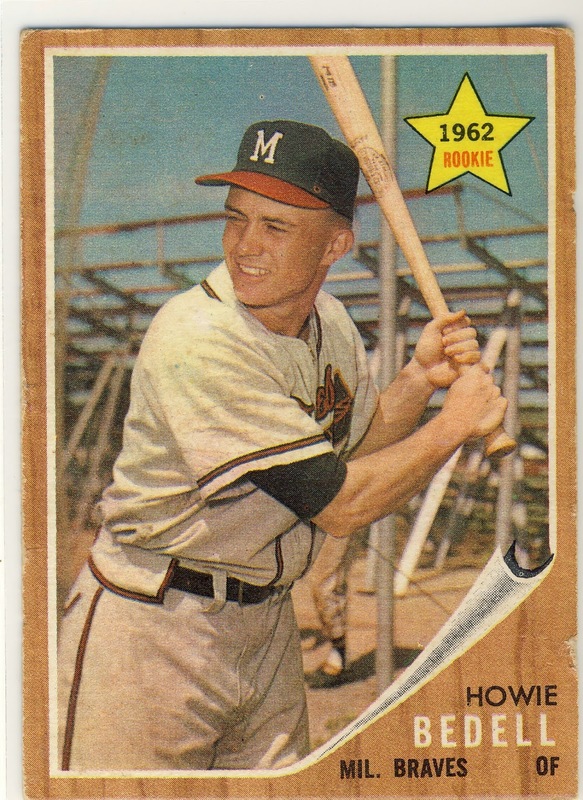 Howie Bedell didn't quite live up to his Star Rookie label as he played only in 58 games for the Braves. 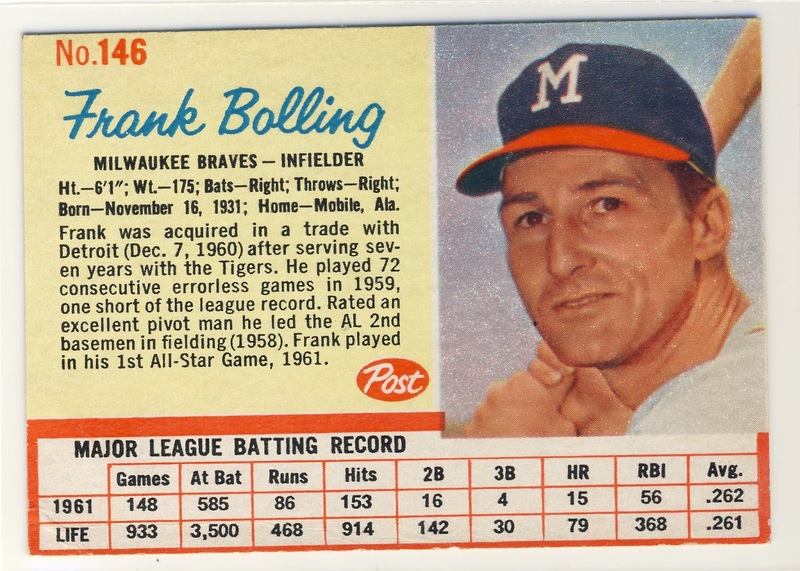 Frank Bolling was a two-time All-Star and an excellent second baseman winning the Gold Glove in 1958. 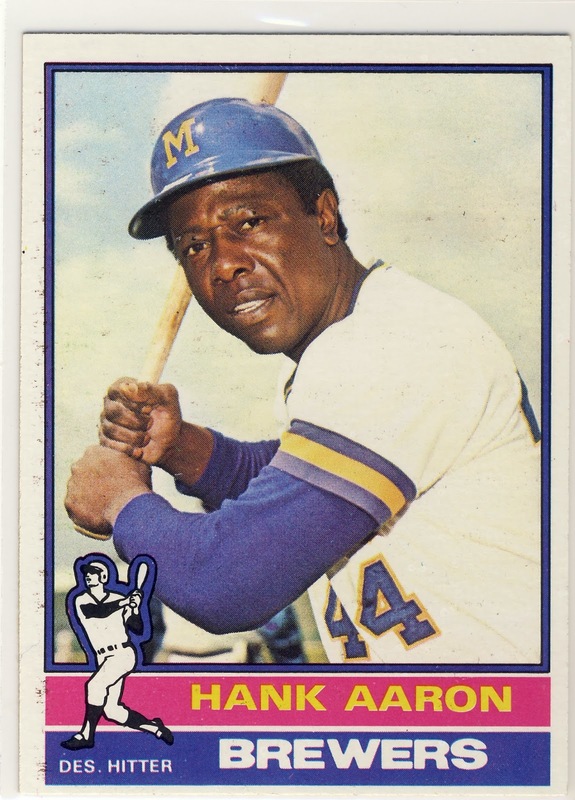 Plus who doesn't love a Hank Aaron card? 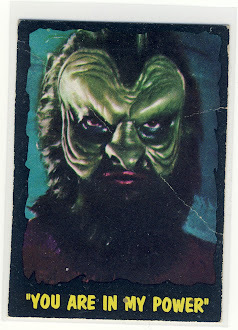 His 1976 card was Hank's in the flagship set has a player. 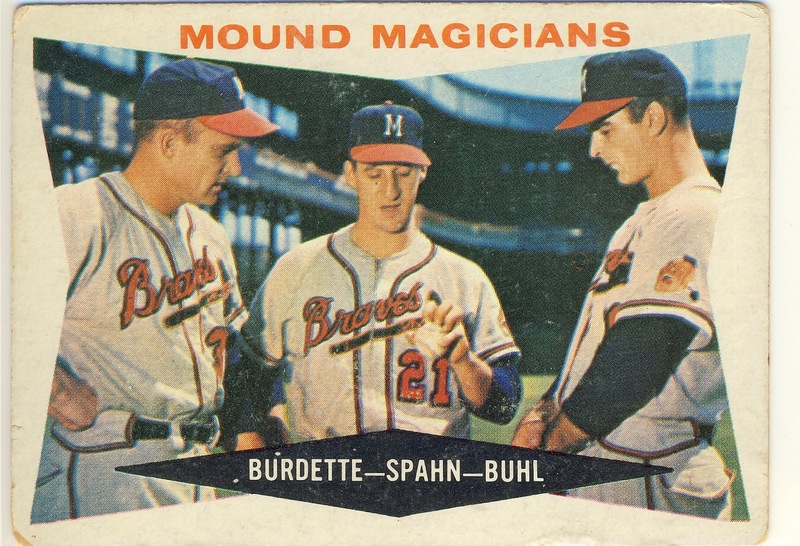 That 1960 Mound magicians card is awesome.